Can’t see the forest for the trees? Kaarta can. 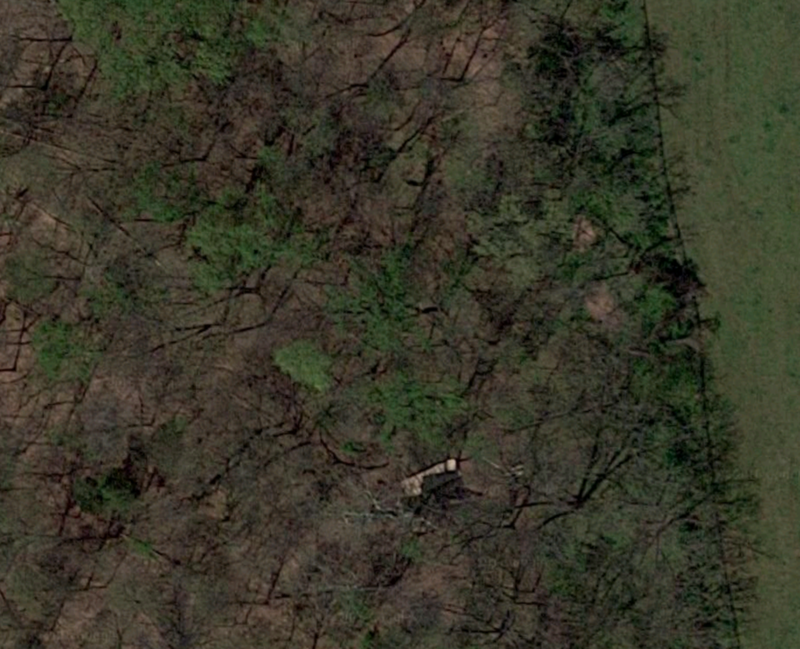 Densely wooded areas are notoriously challenging for localization and mapping. So when Kaarta was asked to demonstrate the performance of its mobile real time 3D scanning technology for an innovative application, that’s exactly what they did. With just a 30-minute walk and Stencil™ portable mapping device in hand, Kaarta soared beyond expectations by producing an accurate 3D map in real time and an output of highly precise localized coordinates – no prior data, GPS or infrastructure required. Working with CH2M, the world-renowned design, engineering and program management firm, Kaarta headed to a heavily wooded lot in rural Maryland (figure 1) to demonstrate Stencil for a unique use: as a potential positioning system for integration with geophysical systems requiring high-precision geolocation capabilities. With its rugged ravine, dense flora and humid climate, the site itself posed an extra layer of difficulty. The demonstration was intended both to test the rigor of Kaarta’s system and to explore its use for mapping applications requiring high-precision in GPS-denied environments, specifically, to integrate with advanced metal detection and classification systems for locating buried ordnance. The current status-quo for positioning with these systems is time consuming and does not provide positioning accurate enough for consistent results. For the purposes of the demonstration, a dozen ground level points were staked within a 100 foot square grid. The site was then surveyed by an independent professional surveyor using a robotic total station to provide ground-truth assessment of Kaarta Stencil accuracy. Stake measurements and locations were not provided in advance. Kaarta was then tasked with simulating a geophysical survey of the grid (walking back and forth in a “mowing-the-lawn” type pattern) and determining the precise location of the previously surveyed points. The Kaarta team got things started, but it didn’t take long until CH2M tried their hand using the system. Despite no prior experience with the device, CH2M handled Stencil with ease. The terrain and vegetation precluded a simple path (thus the non-linear transects shown in Figure 2) and the survey was completed in under 30 minutes. Equally impressive, all of the previously surveyed points were accurately identified (Figure 3). The difference between Kaarta’s rapidly scanned points and those that were meticulously surveyed ranged from just 3.5 cm to 19.8 cm. Achieving this strong performance in a heavily wooded area proves Kaarta's suitability for mapping in challenging environments. 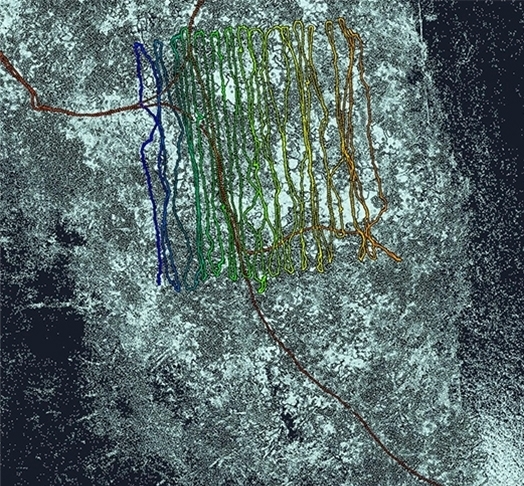 The detailed topography of the underlying terrain is revealed by viewing the scan from ‘underneath’ as shown in figure 5. Unlike prior technologies, Kaarta maps instantly and on the go. It combines a lightweight, handheld hardware component with a layer of software intelligence that uniquely allows the device to autonomously identify its location and surroundings. Why does this matter? In the woods of rural Maryland, Kaarta was able to collect and synchronize data to produce a complete and accurate 3D map in real time and output accurate and precise positions. Providing precise geolocation for integration into geophysical mapping tools for buried ordnance detection. Figure 3: The overlay of the surveyed points (red crosses) and the position data from the scan (blue triangles) shows how closely the Kaarta real-time mobile scan matched the precise survey data. Figure 5. The final 3D map can be viewed from underneath to reveal topography. For a copy of the detailed WOODED AREA SCAN AND COMPARISON CASE STUDY 001 paper, please complete the form below. Thank you! Click to access the WOODED AREA SCAN AND COMPARISON CASE STUDY paper.